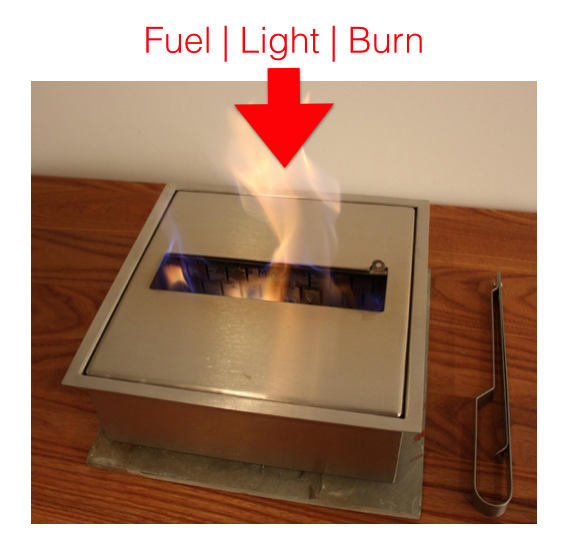 Ok, Here’s the ‘down and dirty’… When it comes to safety, efficiency and convenience, I would have to say it’s time to retire the idea of a manual ethanol burner. Its an idea that had its time. Sure, its cheaper (in most cases…. but a manual ethanol fireplace from Ecosmartfire can set you back several thousand). And there’s something to be said for the simplicity of the design. But when you get right down to the mechanics and features of the burners themselves… “this dog don’t hunt”. Particularly when compared to an electronic remote controlled ethanol fireplace or burner such as those produced by aFire. This is truly a case of “what you see is what you get.” So what do you see? Well, I would have to say – “a big square stainless steel box” – and that’s exactly what you get for the most part. Design may vary slightly. But for all intents and purposes you just bought a fuel tank with a hole in the top. And in most cases you fuel the burner, light the burner, and watch the flames come up all out of that same hole in the top of the tank. The box itself is a large empty chamber designed to hold anywhere from .5 Liter to in some cases as much as 10 Liters of ethanol fireplace fuel. Some manufacturers have added baffles, aerating materials, or even batting materials designed to keep the fuel from sloshing about in the tank or easily spilling out. Safety – Sticking a lighter or match into the opening of a tank of ethanol fuel just doesn’t feel like the safest thing one can do. At room temperature ethanol puts out a “head” of vapors that are volatile. When lighting with a match or lighter, most times you experience a “POP” and a flash. Allow it to sit too long in a warm environment and that “POP” can be strong enough to be unsettling for most people. You definitely don’t want to have your face or hair down there. And most manufacturers recommend using a long neck lighter for that reason. Aesthetics – As the flame gets lower in the tank, you see less and less of it. As a result, the quality of your fire diminishes. 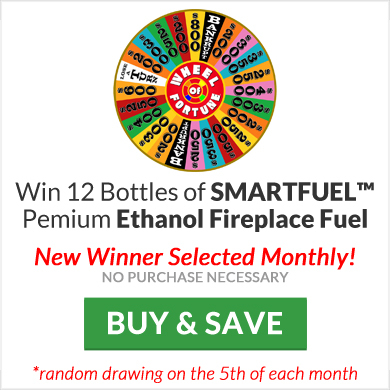 Air Quality – When ethanol is burned in a “complete combustion” the only exhaust created is CO2 and Water Vapor. Non-Toxic and not a dangerous mix. The problem begins when your flame becomes starved for Oxygen. Which will happen as the flame starts burning down inside the tank rather than at the top of the tank where more air is present. Depending on the burner design, you may begin to starve the flame causing an incomplete combustion. One of the by products being CO instead of CO2. And CO is toxic in large enough amounts. 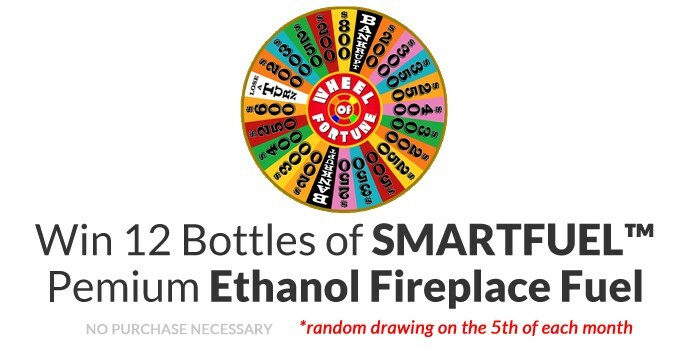 Efficiency – Burning the vapor right off the top of a 5 Liter tank is just not the most efficient way to burn ethanol and can accelerate the amount of fuel consumed raising your cost to enjoy your fire. No match or lighter is required for the burner to ignite. You never have to put your hand or face close to the tank to ignite the fuel. It’s all handled conveniently by a one button remote control that will turn the burner on, and ignite the fuel using a ‘glo-plug’ similar to what is found in a diesel engine. You can light the fireplace from the convenience of your sofa, bed, or even bath. 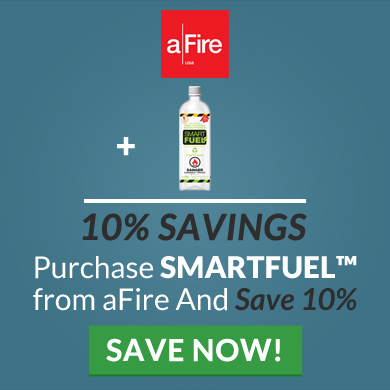 Safety – Fuel is in separate and sealed tank. Fuel is ignited via remote control. No need to put hand or face near the fuel source to ignite the flame. Flame Quality – Because the fuel is pumped into the combustion tray at the top of the burner. The Flame is always visible and beautiful. 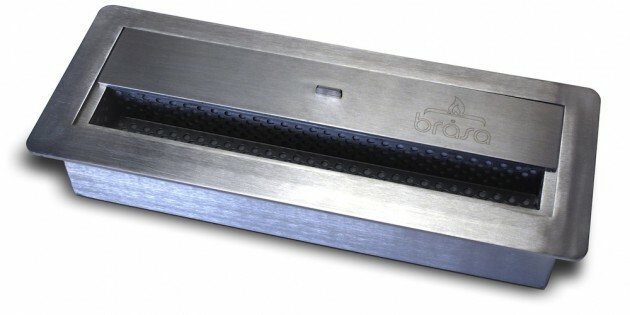 Air Quality – As there is always adequate Oxygen to generate a complete combustion, it’s the cleanest burning solution of any ethanol fireplace burner. Heat – Because the flame sits at the very top of the burner, and heat rises by nature – the burner itself stays relatively cool. Even an hour or more into the burn, you can touch the burner surface without fear of getting burned. This allows for closer clearances during installation. And less need for expensive fire rated materials around the burner base. Efficiency – The sensors that monitor the amount of fuel pumped into the combustion tray make the unit more fuel efficient. And the fact that the burner stays relatively cool leads to slower fuel consumption as the fuel is not heated in the tank. 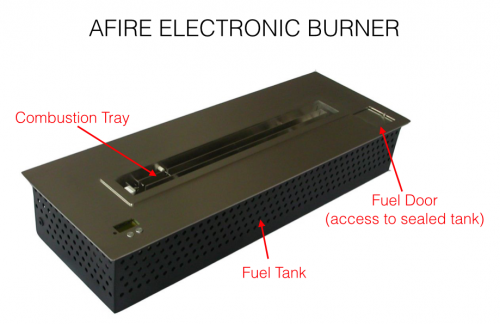 Bottom Line: The convenience and safety features of an electronic ethanol fireplace burner must be considered in any purchase of an ethanol fireplace.